In 2016, the total turnover of the Top 20 Defence SMEs topped $800 million for the first time, a substantial increase of the Top 20 total of $642.68 million in 2015. 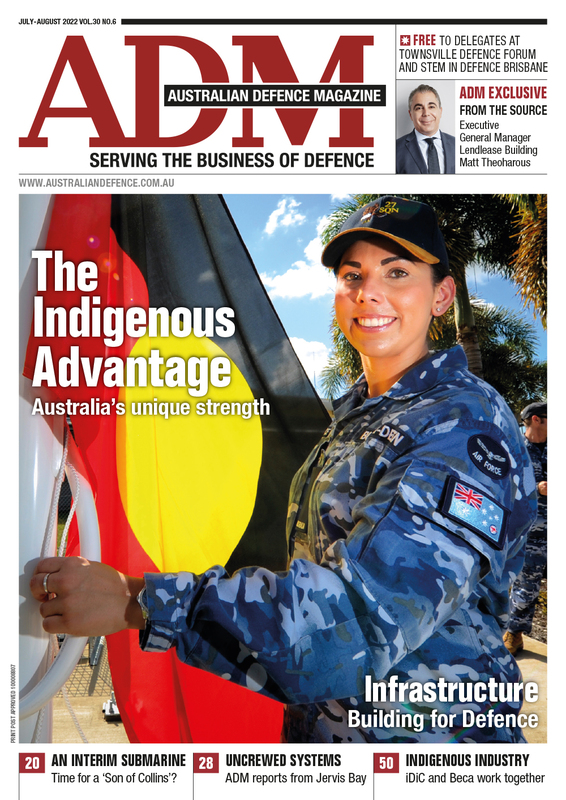 It now takes substantially more turnover to make the cutoff for the Top 20 Defence SMEs – last year the turnover of the no.20 company was $15 million; this year, it is Nioa with $25.7 million, a substantial increase. 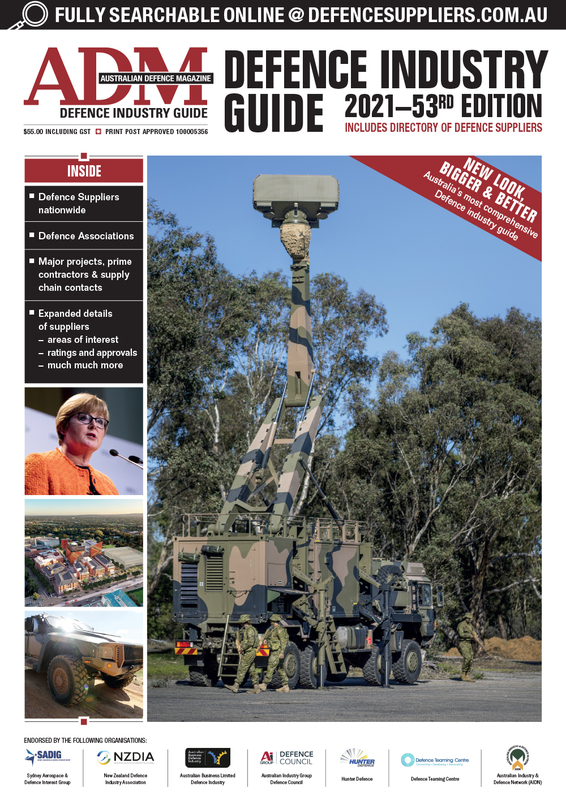 Congratulations to Cubic Defence New Zealand Ltd with $89.7 million turnover for again topping the Defence SME charts. Seven of the twenty companies in the Top 20 are Australian owned. 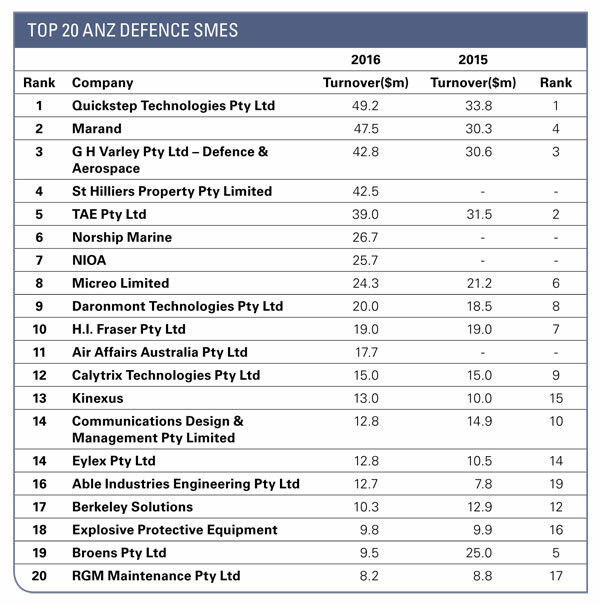 The Top 20 ANZ Defence SMEs result tells a similar story to the other surveys. To rank in the Top 20 ANZ SMEs survey, respondents needed to report a higher turnover figure. 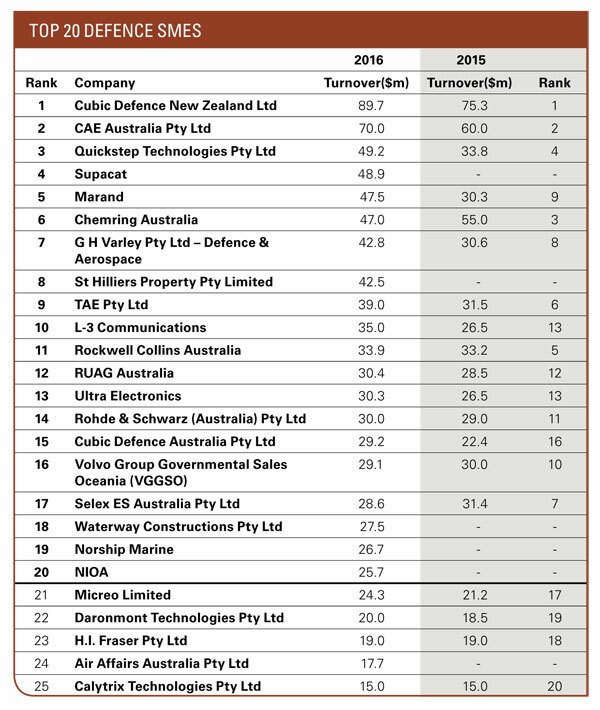 Congratulations to Quickstep Holdings Ltd who once again top the ANZ Defence SMEs charts with $49.2 million in turnover (compared with $33.8 million in 2015). This will be the final year for Micreo as a stand alone entity in ADM’s survey. The company was acquired by L-3 Communications in September 2016 and is now known as L-3 Micreo. Micreo was established in Brisbane in 2002, under the leadership of Tim Shaw. Among the ANZ SMEs, Kinetic Recruitment is now known as Kinexus and weapons systems and ammunition supplier Nioa re-emerges on the list.In October 2016 the government announced its intention to split ASC into three businesses: shipbuilding, submarine sustainment and infrastructure. The company statement said it had effectively been operating separate submarine and shipbuilding businesses for the last two years.